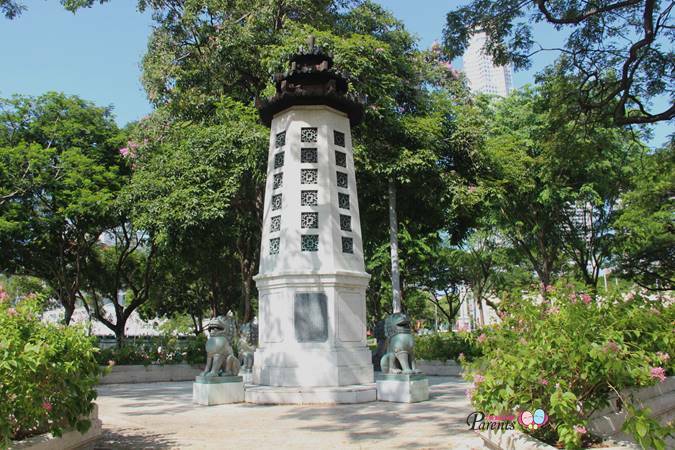 The Lim Bo Seng Memorial is one of the three Esplanade Park Memorials gazetted as a National Monument. 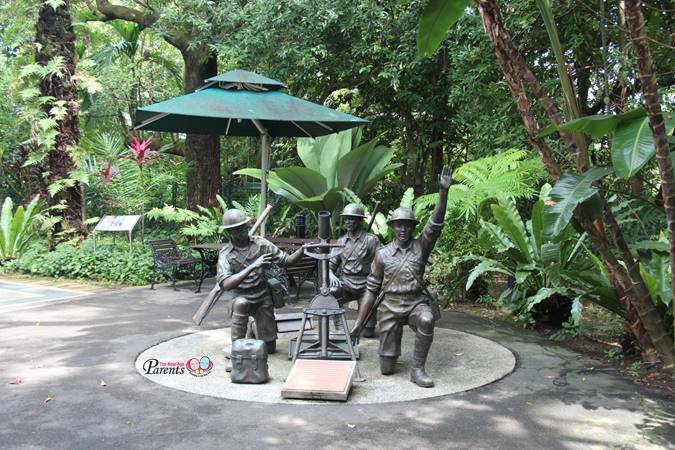 It was erected to commemorate Lim Bo Seng, a member of the underground resistance section of Force 136, who was brutally tortured to death in Batu Gajah Prison by the Japanese Intelligence during the Second World War. A Lim Bo Seng Memorial Committee was established to raise funds for the memorial. 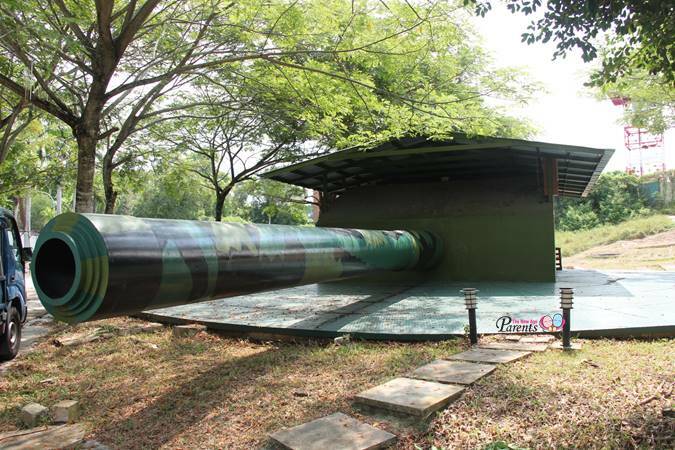 It was unveiled on Lim Bo Seng’s 10th death anniversary on 29 June 1954, by Commander-in-Chief Far East Land Forces, Lieutenant-General Charles Loewen. 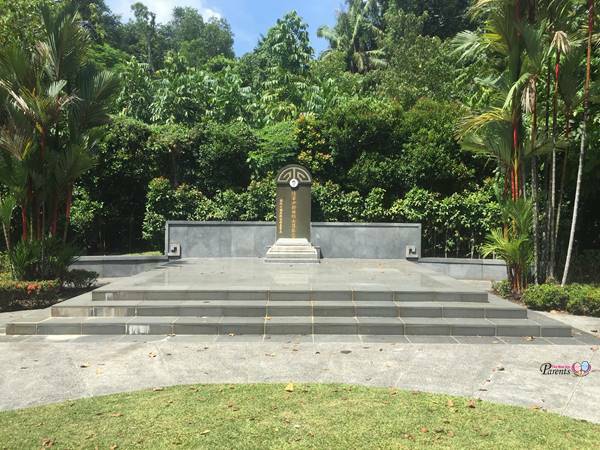 Local architect Ng Keng Siang designed the memorial, and Commissioner General for Southeast Asia, Malcolm MacDonald, laid the foundation stone on 3 November 1953. 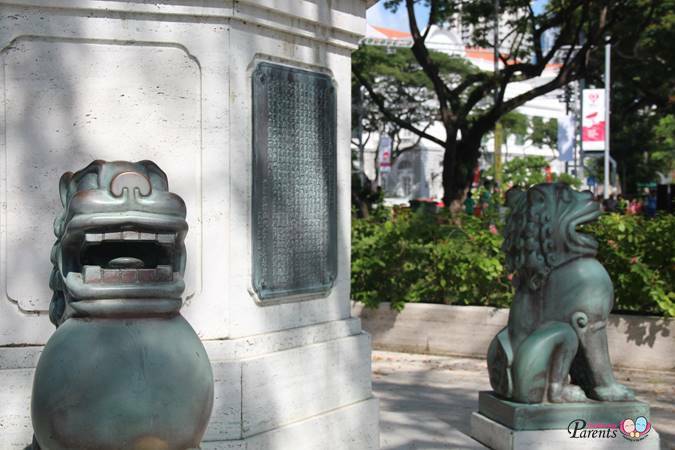 Lim Bo Seng War Memorial was gazetted as a National Monument on 28 December 2010. 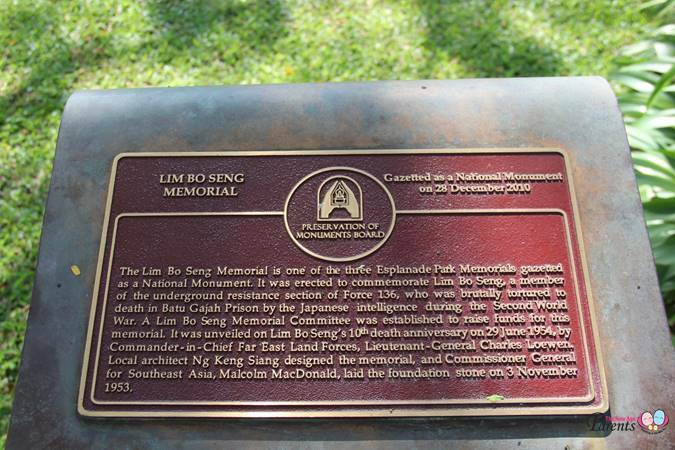 Note: He was buried at MacRitchie Reservoir. His tomb still lies there today. 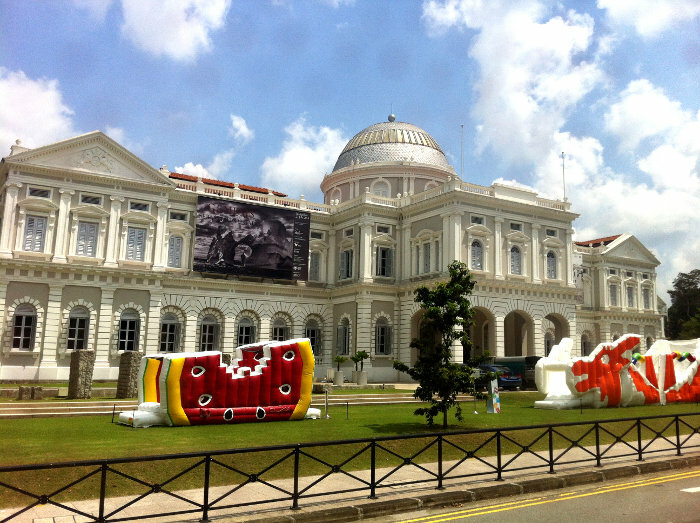 Read more via Lim Bo Seng tomb. Text from plaque on site.